Today in this article I’ll present you a new big update of the Marco template. If you’re a regular reader of Azmind, you probably know that Marco is a premium template made with Bootstrap that can be used to present and promote your product, service or application. I sell it on WrapBootstrap and it has 561 sales at the moment, making it my most successful product of all the times. So, why is this a big update? 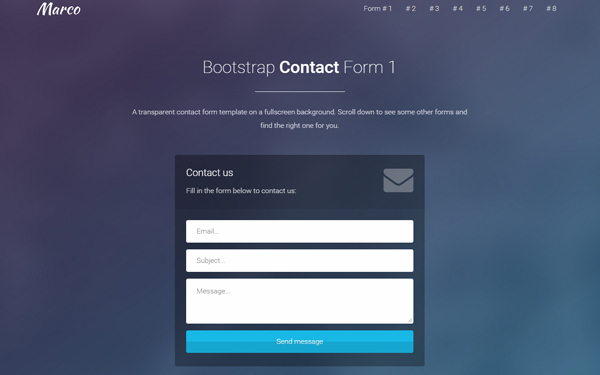 Well, it’s a big update because this new version 2.0 comes with Bootstrap 3.3.6, Font Awesome 4.5.0 and 28 new forms! 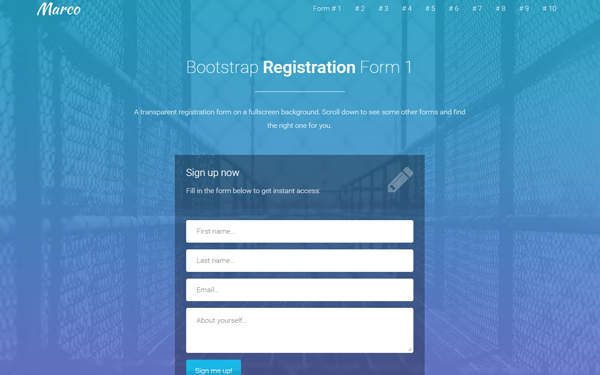 28 new ready-to-use registration, login and contact forms that can be integrated directly in your Bootstrap projects. I’ve created many of these forms in the last few months and, based on their success, I decided to create some more and include them in the Marco template, aiming to make it an all-in-one product. Continue reading below to see some screenshots of the new forms and for the live preview and purchase links. 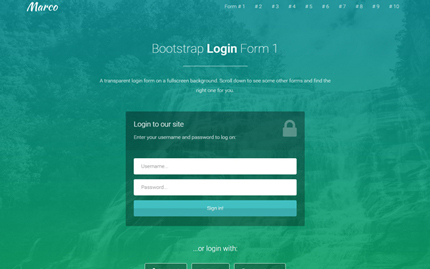 This was a quick presentation of the new version 2.0 of the Marco Bootstrap template and its new forms. Let me know if you have any question or suggestion.